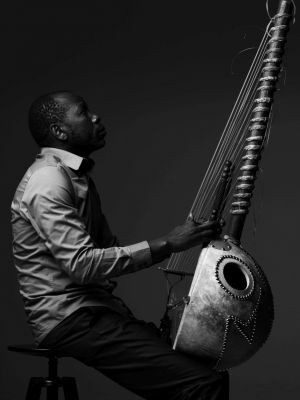 Kora is the ancient string instrument of Mande peoples of Western Africa. It is may be one of the oldest instruments on earth and its history goes back thousands of years. 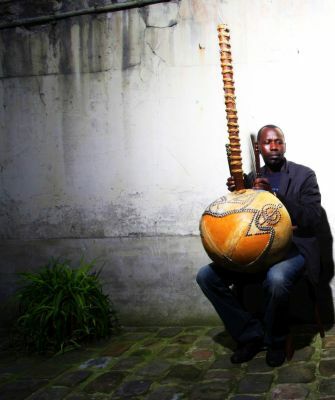 It is built from a large calabash cut in half and covered with cow skin to make a resonator. Instrument has a notched bridge and usually 21 strings tied over this. 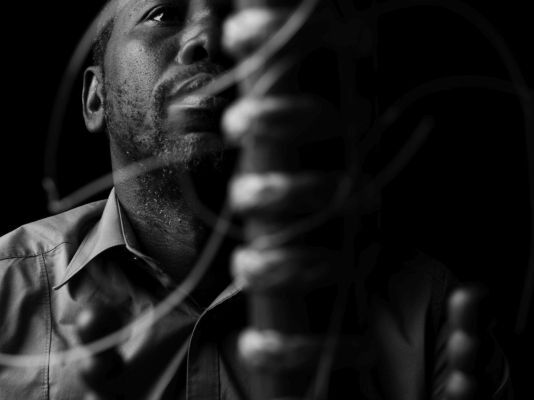 Strings used to be made of antelope hide, though today they are mostly harp strings or fishing line. It is tuned by moving the leather rings up and down the neck. While playing, it is hold vertically from the handles in both sides of the neck and strings are pulled with the forefingers and the thumbs. In the traditional style, the two thumbs play the lower register path while the forefingers play the upper register melody line. 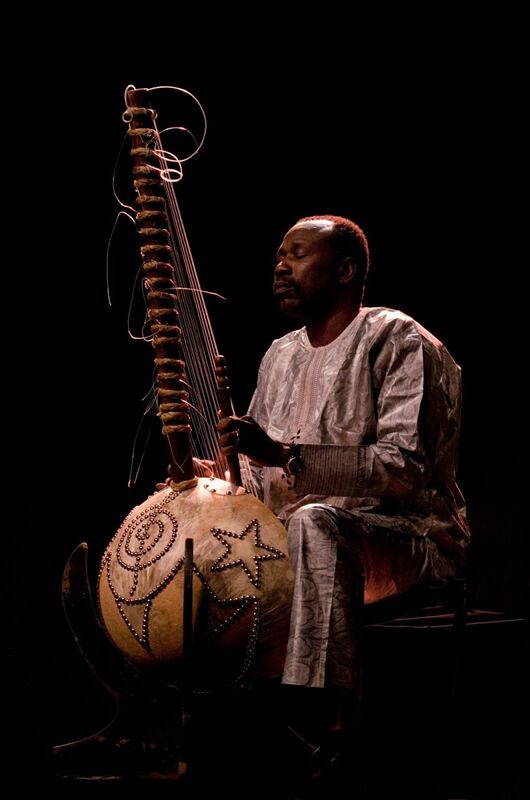 Kora was the instrument of choice of the griots, the hereditary historians, poets, praise singers and wandering musicians of the west African cultures. A griot might have disciples, but his immediate family, especially sons takes precedence to hand down the tradition and the skills. 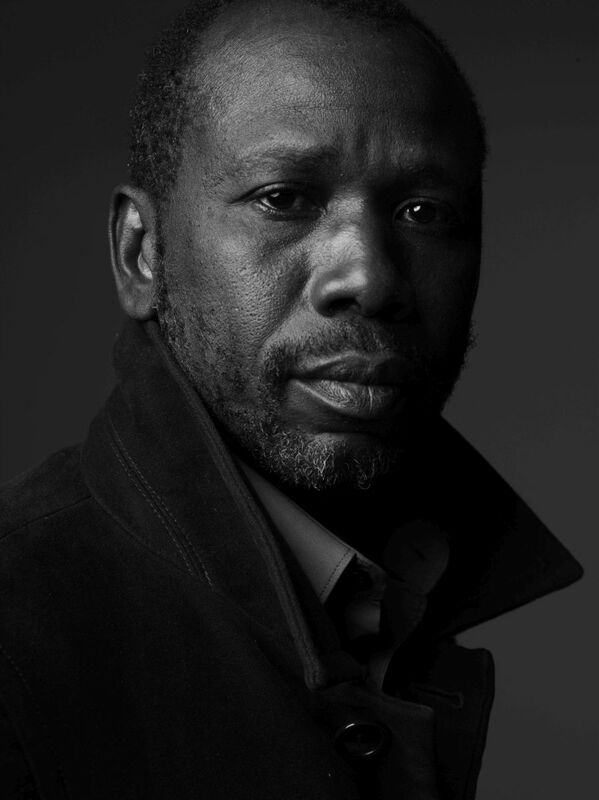 For this reason, it is possible to find families who have been griots for many generations. Being a repository of the oral tradition, one function of the griots was to recite the legends in the mythologies of their culture. These legends included the stories of the gods and goddesses which people believed in, the explanations regarding the natural world and the supernatural, interpretations about concepts like creation, death and afterlife and being so, they shaped the spiritual life and religious beliefs of the peoples of Western Africa. Griot, as the person who inherited, enacted, preserved and lastly passed on these legends was an important character in the religious practice. In addition, they took part in all important events in the lives of people like the festivals, weddings, holidays and child naming. Even after Islam became the dominant religion in the region, griot preserved his social position, this time choosing the stories and subjects from the Islamic tradition. 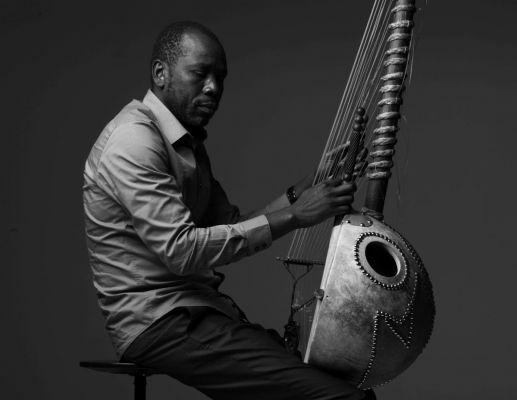 Ballaké Sissoko is the son of Djelimady Sissoko, a great master of the Manding Kora, twenty-one-stringed harp whose crystalline sound has conquered the international public. Ballaké is one of the best Kora players of the new generation. He started learning the instrument at a very young age with his father. 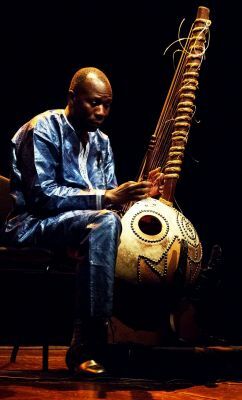 Having played with the prestigious "Ensemble Instrumental du Mali" and accompanied many female Malian singers, he earned his reputation by performing solo, and also in a duo with Toumani Diabate, with Taj Mahal, and with a number of other musicians. Ballaké is an over-talented instrumentalist who, drawing on tradition for inspiration, has forged his own personal style. 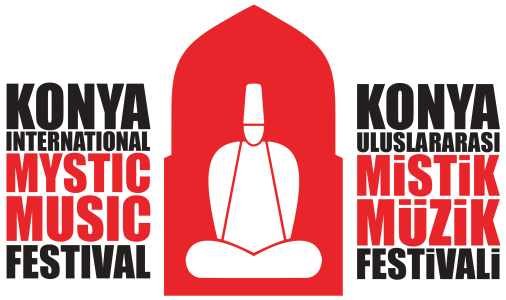 An inspired improviser and a subtle melodist, he is a marvellous accompanist and an excellent composer who enlaces the listeners in suave and crystalline sonority of his kora, magnified by his talent as a melodist and an improviser. In his hands, emotion, elegance, freshness and inventiveness make up some of the world’s best music.